Imagine you were a happy little girl growing up in rural Ethiopia when you became gravely ill and consequently disabled. Imagine society saw your handicap as a curse, as a punishment for something your family might have done and you were consequently rejected by your community. Imagine your mother refused to accept that your life expectations should be curtailed and fought for you to advance in life. Do you think you would be able to have that better life your mother dreams for you despite everyone trying to discourage her? Today, I am inspired by Yetnebersh Nigussie, born in January 1982 in Sayint, Amhara region, Northern Ethiopia. Yetnebersh caught a meningitis infection when she was five and started losing her sight. Her family tried every remedy they could to stop her from becoming blind – including washing her eyes with holy water or using traditional medicine – but to no avail: the little girl became blind. At five years old, her life tiurned around as from a happy little girl, she became the object of rejection by her own community. Thank God her mother didn’t listen to her neighbours. Instead, she looked around for any support she could get for her daughter. She took the young girl to Addis Ababa to get her tested. Unfortunately the blindness was irreversible. “You can never be sighted” the doctor told her. However, the physician gave her mother an advice that would change the young girl’s fate. Her mother hanged on that possibility and started looking for a school that could cater for her daughter’s special needs. She was told of a Catholic boarding school for girls with disabilities, Shashemane Catholic School for the Blind, located in Shashemene, a small town in Oromia Region, some 150 miles from the capital of Addis Ababa. She convinced her husband to send their daughter there. Yetnebersh father grudgingly accepted though he was disappointed that her daughter could not get married like the other girls in the community. In that rural community of Northern Ethiopia, girls would get married as soon as they reached puberty so the parents can receive a dowry – generally in the form of money or livestock. Her father eventually abandoned the family and the young girl was left with her mother to take care of her. Studying became her life. Though she would later learn in life that her blindness could have been prevented, Yetnebersh, a very positive minded young girl, accepted her situation and even started seeing her disability as a gateway to a better life rather than a curse. Shashemane Catholic School for the Blind, often described as a sanctuary, is a lively institution run by the Daughters of Charity of St. Vincent de Paul . The nuns thought the girl how to write and read in braille – the tactile writing system used by people who are visually impaired – but most importantly, they taught her to focus on her abilities. She also recognises that that positive environment early on in her life started shaping her into the woman she has become. After completing her primary education in Shashemane, Yetnerbersh was enrolled in Menelik II Senior Secondary School in Addis Ababa, Ethiopia’s capital. After years spent in a school for kids that understood and catered for her special needs, it wasn’t easy adapting to a ‘normal’ or so called ‘inclusive’ school. “I wouldn’t call the second school an ‘inclusive school’. It was more of an integrated school. My first experience at a school for the blind was interesting because everything was designed with the blind in mind. Everything was comfortable and accessible. We lived in the same compound as the school. All the educational material and games were prepared for us. I would say it was an exciting and nourishing experience. Whereas the integrated school I went to was mainly prepared for sighted students. That way, none of the learning inputs were prepared for me. I had to prepare my own learning inputs. I had to write all my notes and write in braille. There were no books in braille and I had to ask friends to read for me. There was no audio material as well. The integrated school was a bit of a challenging experience for me. That transition to the ‘normal world’ made her realise even more cruelly so the way disabled people were often ignored by the mainstream or simply viewed as the lowest tier in society. At the end of her secondary school, she had made up her mind on her future profession: she was going to study the law so she could make a difference! One of the reasons of deciding to study law was that it was considered to be a men's subject in Ethiopia and she was much intent on changing that. Yetnebersh joined Addis Ababa University where she completed a law degree and a master's degree in Social Work! She was among the first three blind women who went to law school in her country. Didn’t I tell you to expect the unexpected? Well that is not all: not only did the young aspiring lawyer excel at her studies, she found time to get involved in the university’s students’ life. During her time at Addis Ababa University, the young girl chaired more than 6 students’ clubs including the students’ counsel and the Addis Ababa University anti-AIDS movement. She had turned her disability into multiple abilities as she likes to put it. It wasn’t easy as you can probably imagine. 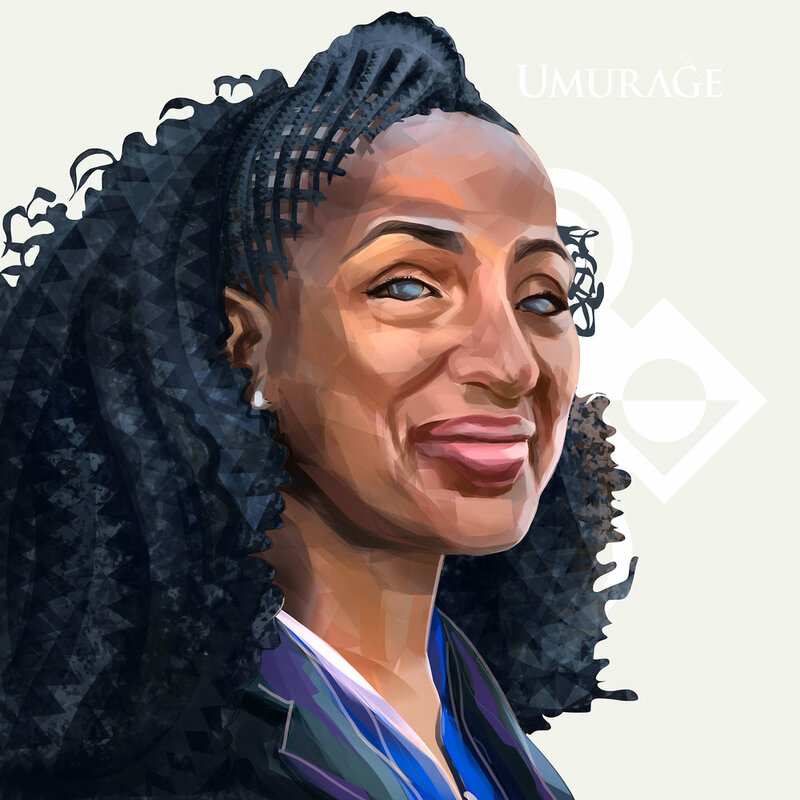 The University Law School had no material for the visually impaired, so throughout her five-years at Addis Ababa University, Yetnebersh would record her classes and later transcribe the audio recordings into braille. While completing her university studies, the young law student founded the Addis Ababa University Female students’ association as well as served as the first president of the association. In 2005, Yetnebersh co-founded the Ethiopian Centre for Disability and Development (ECDD), an organisation aiming at creating an inclusive society for people with disabilities. In 2011, she returned and served as ECDD Director for four years. She considers the creation of ECDD as one of her biggest achievements. “There was no institution responsible for Students with Disabilities in the Addis Ababa University before. Now nearly all universities in Ethiopia have a similar organization. With the establishment of the ECDD we succeeded in getting disability included in the development discourse, and it is now a major organization,” she proudly shared. More than half of the staff members are persons with disabilities. During her time at the helm of the Center, ECDD became the driving force for inclusion in Ethiopia. The most noteworthy achievement: ECDD managed to change Ethiopia’s building code, imposing that all new buildings are accessible to persons with disabilities! Yetnebersh also played a crucial role in securing the adoption and ratification in 2009 by Ethiopia of the UN Convention on the Rights of Persons with Disabilities. The unstoppable Human rights lawyer and disability rights activist returned to Addis Ababa University to complete a second Master’s degree, this time in Peace and Security Studies. In January 2016, Yetnebersh joined ‘Light for the World’, an international disability and development organization. As Senior Inclusion Advisor and head of the organisation’s Disability Rights and Advocacy department, Yetnebersh continues her fight for the empowerment of persons with disabilities and their right to equally participate in society. Her achievements earned her several accolades around the world. The most impressive is undoubtedly The Right Livelihood Award, often referred to as the 'Alternative Nobel Prize'. Yetnebersh received the prestigious award in 2017 as a recognition for her determination to ensure that people with disabilities are never left behind. If you ask her who was her biggest inspiration, she will tell you without any hesitation that is was her mother as she never ceased to believe in her and spent her life shushing everyone who said bad things about her daughter’s disability. Her time in Shashemane inspired her to open her own inclusive school for underprivileged children in Addis Ababa. The Yetnebersh Academy hosts about 200 children with special needs in nurturing environment they too often lack in their own community. Her other inspirations include Mother Theresa and Helen Keller, the renown American author, political activist born towards the end of the 19th century and mother Teresa. Helen Keller was the first deaf and blind person to earn a Bachelor of Arts degree some 100 years ago. Yetnebersh is married and has two young daughters whom she describes as the biggest and most precious achievement of her life. Will you believe that this hyper-gifted lawyer and activist is also a poet and a singer? Unstoppable, that’s who you are! Right Your Legacy, Yetnebersh Nigussie! Happy International Women’s Month 2019!